This Sunday's sparkenation is article five in a series of seven about rehumanising leadership and management. Part one is here. Part two here. Part three here. Part four here. 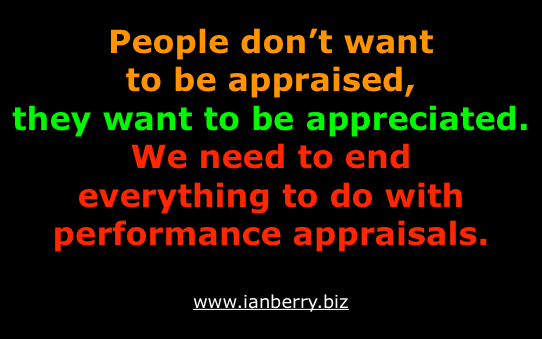 The great dehumaniser in business is performance management systems i.e. 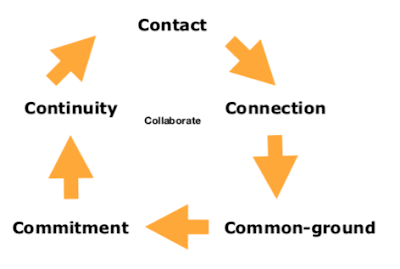 in summary - the recruitment, induction (onboarding), engagement and retention of people and how we help people to learn and grow. 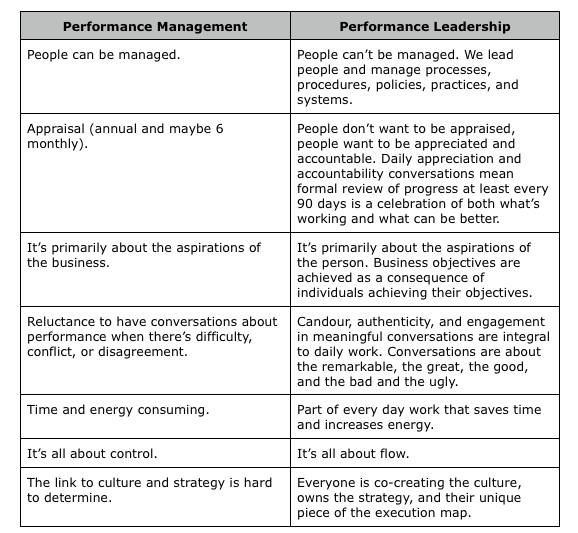 The diagram below illustrates the key differences between the old world of work - performance management, and the new world of work - performance leadership. 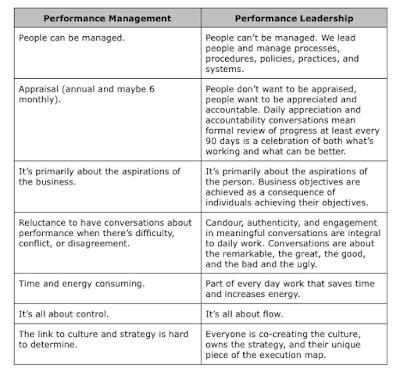 Have you made the shift from performance management to performance leadership? If you see people as cogs in a machine, as means to an end, you're stuck in the old world of work. You won't get away with it for much longer. Generation Xers (born 1960 - 1980) and more so Generation Y (also known as The Millennials, born 1980 - 2000) are leaving your businesses because they refuse to be treated as numbers, assets, resources, and that terrible descriptor, human capital. The great news is "Do unto others as they want done unto them," what Dr. Tony Alessandra calls The Platinum Rule, and everything will change in your business for the better. 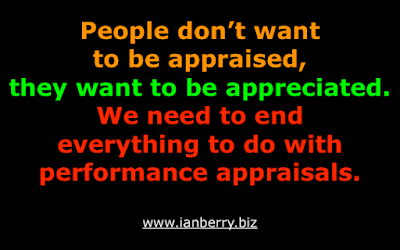 The great movement in business is the shift from performance management to performance leadership. Are you onboard? To get started remove the BS about people in your workplace. Join me here if you'd like help and support.